Sn today’s workplace, employee and customer safety is job number 1. 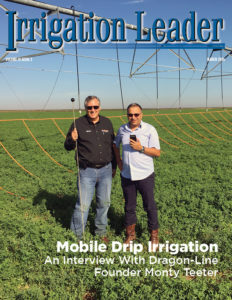 Irrigation districts are no different. With miles of canals, fast-flowing water, heavy machinery, potent chemicals, and the potential for isolated working conditions, irrigation district managers must contend with a number of challenges to ensure the safety of their workers and the people they serve. 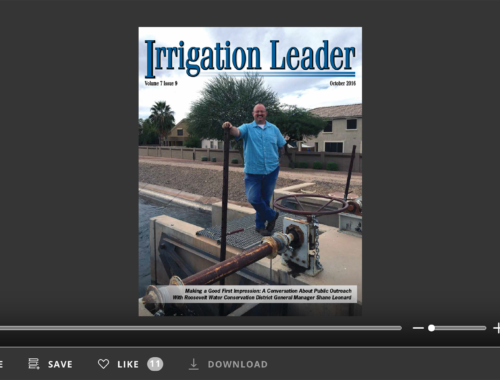 We begin our safety issue in Arizona, where the intersection of robust housing growth and active irrigation canals and ditches has necessitated embracing a culture of safety and innovation. The Salt River Project (SRP) delivers water to residents in the greater Phoenix area via 131 miles of canals. With maintenance roads on each side of those canals, there are numerous points of entry into canals. Just east of Phoenix, in and around the rapidly growing town of Gilbert, the Roosevelt Water Conservation District (RWCD) takes a different approach. General Manager Shane Leonard explained, “The public perception is that canals are the closest things we have to rivers and the activities rivers would provide for under normal circumstances. People want to walk their dog along the edge, sit on the bank to reflect on the workday, or fish in the canal, but these are the very activities that pose a tremendous safety risk. A canal system is not conducive to both public entertainment and public safety as a matter of routine design.” Mr. Leonard preaches diligence and positive interaction with the community to steer people to safer alternatives to activities along the RWCD canals. 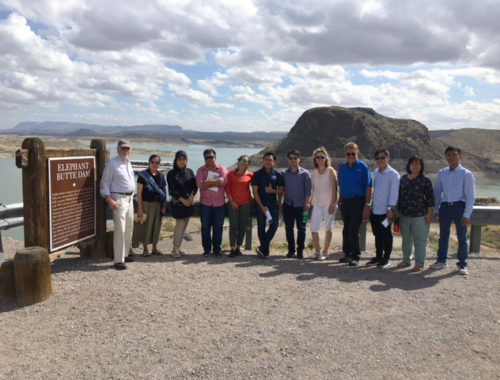 In this issue, we also hear from Elephant Butte Irrigation District’s Human Resources and Safety Director Delyce Maciel about employee safety for irrigation districts. She said, “At the end of the day, our goal is to ensure that employees stay safe and go home to their families.” That is also the message of Philip Ball and Dave Blodget, who discuss personal safety and herbicide application safety, respectively. Mr. Ball cuts to the core of the issue when it comes to workplace safety. 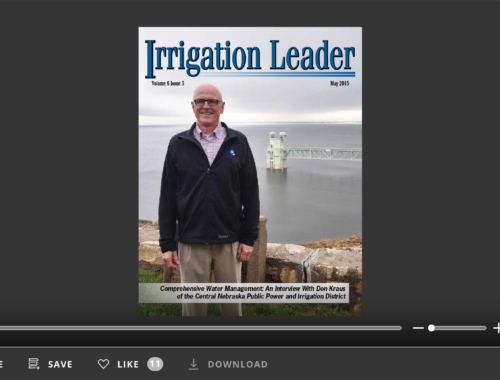 “Good leaders respect and care for the people they oversee.” That kind of leadership drives safety for irrigation districts.